THE best way to enjoy “My Perfect You” is not to treat it seriously at all. Because if you do, the movie would easily fall apart. Treat it as simple mindless entertainment that is just out to make you smile and feel cute about the characters who are created to obviously just please the audience, and you’re all set. The central character is Gerald Anderson as Burn, an acclaimed graphic artist who wears an unbecoming wig and is at the peak of his career. Then he proposes marriage to his ladylove (Marlann Flores) in a grand flamboyant fashion involving all their other office mates. And he is turned down right in front of everyone. The very public humiliation destroys Burn. He retreats into his own world, neglects his career and is subsequently fired. This is the part of the movie that belongs to the romantic comedy genre. At first, Burn is turned off by Abi’s “kakulitan”. But her being kooky and her sunshiny personality eventually get through him, with the help of her three wacky assistants: a midget (Darwin Tolentino), a “ngongo” black woman (Wilma Doesnt) and a deaf guy (Janus del Prado). Together, they join forces to inspire Burn to give life and love a second try. But just as things get rosy, the alarm clock rings and there’s a reality check. There’s a very big twist and the romcom is gone and gets replaced by a serious psychological drama involving the movie’s other characters: Tonton Gutierrez as Burn’s dad, Dimples Romana as his sister, Xia Vigor as his niece and RJ Ledesma as his doctor friend. We can’t reveal exactly what happens to Burn and all the other characters in the romcom as that would be a big spoiler. 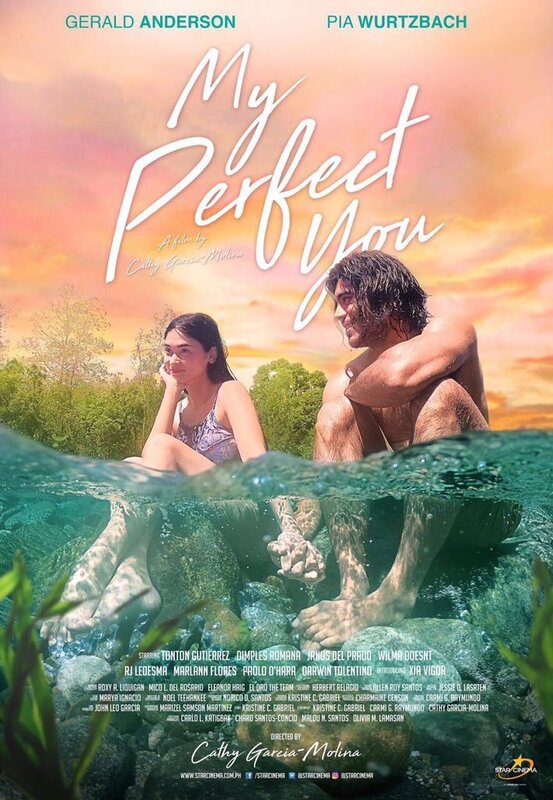 Suffice it to say that “My Perfect You” is reminiscent of those mind-bending movies like “Vanilla Sky”, “American Psycho” and “Eternal Sunshine of the Spotless Mind”, and the character of Burn recalls Russell Crowe in “A Beautiful Mind”. But this one doesn’t have an asinine ending that leaves you hanging as it even has a happier ending. It turns out the characters Burn met in the camp resort are people he meets regularly in his everyday life, except for Wilma Doesnt who unexplainably goes missing as Director Cathy Molina wraps things up for a neat, still obligatory feel good conclusion. Summing it all up, we’d say that the movie is more successful in its first act with the romcom chuva. 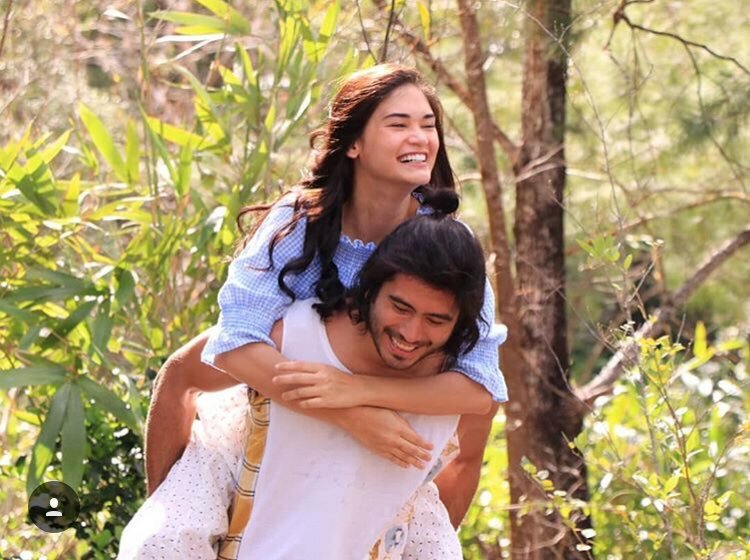 We wish to commend Direk Cathy for trying to come up with a film that deals with mental health issues but the second act has many elements that are just badly done. Sadly, we cannot get to dissect them here in detail as that would betray much of the surprise in the way the story goes. All we can say is they should have done more research about this aspect of the movie to make it truly authentic and more credible.